Commonly used rodenticides and lawn and garden insecticides can be harmful to cats and dogs if ingested, so keep them out of reach. Keep citronella candles, tiki torch products and insect coils of out pets’ reach as well. Call your veterinarian or the ASPCA Animal Poison Control Centerat (888) 426-4435 if you suspect your animal has ingested a poisonous substance. Please leave pets at home when you head out to Fourth of July celebrations, and never use fireworks around pets. Exposure to lit fireworks can potentially result in severe burns or trauma, and even unused fireworks can contain hazardous materials. Many pets are also fearful of loud noises and can become lost, scared or disoriented, so it’s best to keep your little guys safe from the noise in a quiet, sheltered and escape-proof area of your home. Be prepared in the event that your pet does escape by downloading the ASPCA Mobile App. You’ll receive a personalized missing pet recovery kit, including step-by-step instructions on how to search for a lost animal in a variety of circumstances. Be careful when barbecuing this summer using charcoal briquettes. Dogs seem to love to lap up or steal charcoal briquettes from the grill, and the briquettes can easily get stuck in the stomach, causing vomiting and requiring surgery. 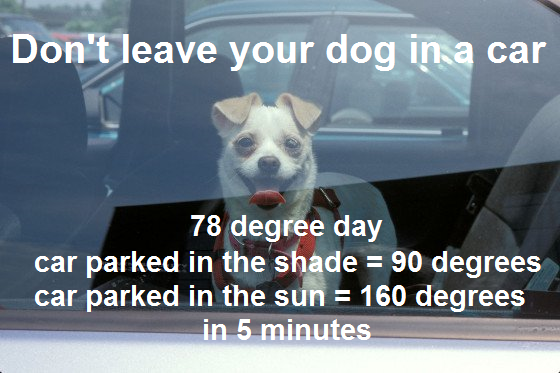 For other ways to help, download and share our hot weather safety info-graph to alert others of the dangers your pets may face during the summer. In case of emergency always call 911.